The Census Bureau estimates that just over 800-thousand people call South Dakota “home.” When it comes to the overall health rankings, South Dakota is near the middle of the road. After holding the 19th spot in 2011, South Dakota dropped to 27th out of the 50 states in the 2012 “America’s Health Rankings.” A number of factors determine health insurance South Dakota premiums. Here are some of the benefits and drawbacks associated with living in South Dakota. Note: Stats and figures are provided by “America’s Health Rankings” from the United Health Foundation. The health insurance pros of South Dakota include: • South Dakota’s air quality is fantastic, as it is ranked fifth in the nation in air pollution. • The “Mount Rushmore State” is sixth in the country in infectious disease. 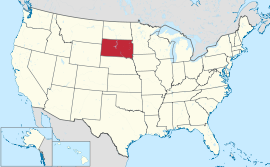 • South Dakota is third in the number of poor mental health days and fourth in the number of poor physical health days. • The state ranks ninth in cancer deaths, 10th in low birthweight, 12th in high school graduation rate and 15th in violent crime. The health insurance cons of South Dakota include: • South Dakota is the worst in the country when it comes to geographic disparity. • Binge drinking is an issue is South Dakota, as the state ranks 44th. • The state is 38th in occupational fatalities. • South Dakota is 42nd in immunization coverage. • South Dakota is 36th in the country in smoking.